It is estimated that seven or eight percent of the U.S. population will have Post Traumatic Stress Disorder at some point in their lives. That number increases significantly for those people who have seen military combat, going up to approximately thirty percent in any given year. It is common knowledge that living with a dog can lower blood pressure, ease depression, reduce stress and raise serotonin. What’s even more amazing is that PTSD service dogs can help alleviate the anxiety caused by the trauma a veteran has suffered and provide comfort in times of need. Among the many tasks that a PTSD service dog can perform, are waking the veteran when he is experiencing night terrors, helping calm him down when agitated, providing a safe space around him, alerting him to the presence of others, reminding him to take his medication, retrieving objects as needed, and reassuring him that he is protected. A service dog’s affection reminds the veteran that he is not alone, reducing his feelings of isolation, and gives him a renewed sense of purpose. In November of 2015, the Kaiser Permanente Northwest Center for Health Research released the results of a study it had conducted on seventy-eight veterans who had PTSD. The study concluded that those veterans who lived with animals had less substance abuse issues, better mental health and more interpersonal relationships. 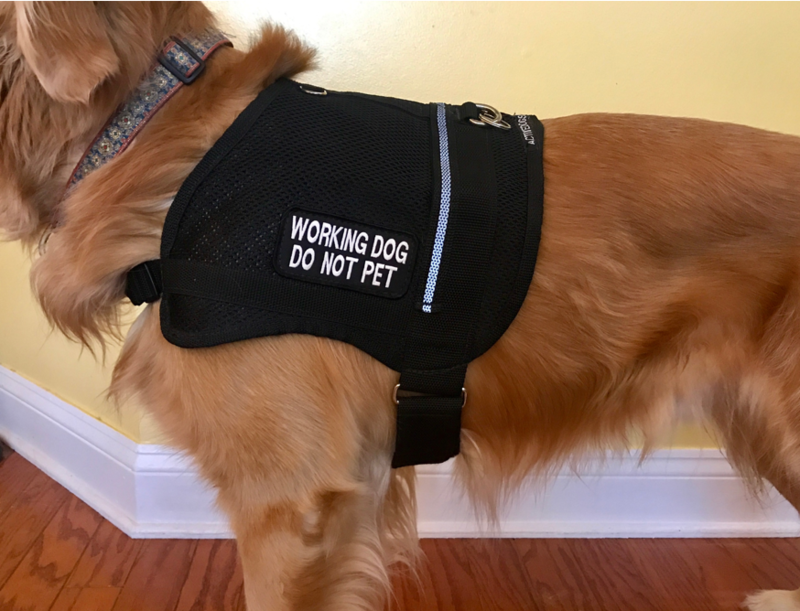 The researchers did indicate that more studies were needed to know if the differences could solely be attributed to the service dogs. There is currently a study by the Veterans’ Administration, which is expected to conclude sometime in 2018 or later, to determine the exact benefits of PTSD service dogs. Moreover, in the numerous studies on the positive influences of post-traumatic stress disorder service dogs that have been and are currently being conducted, researchers are accumulating conclusive evidence that bonding with dogs has proven biological effects. One of the effects is the elevation of the hormone oxytocin, also known as the feel-good hormone. The release of oxytocin aids in the ability to interpret facial expressions, overcome paranoia and improve trust. All of these are in direct contrast with the symptoms of PTSD. Thus, it would stand to reason that a PTSD service dog can be beneficial in all aspects of a veteran’s life. The Veterans’ Administration currently provides service dogs for veterans and even pays for their veterinary bills, but only for those veterans with physical disabilities. The V.A. does not pay for service dogs for veterans whose only disability is PTSD, even though the assistance of these dogs is as invaluable as that provided by service dogs who aid physically disabled veterans. Let’s hope that the results of the Veterans’ Administration study provide them with the conclusive scientific evidence they require in order to supply all veterans with the service dog they need to lead a normal life.